I was introduced to Crochet for Cancer – Sadie Sunshine Chapter through a Facebook friend (actually I have met her in person and she is a sweet person). This chapter was started by a grandmother whose granddaughter died at 17 months of cancer and is sending crocheted items to several hospitals and individuals. 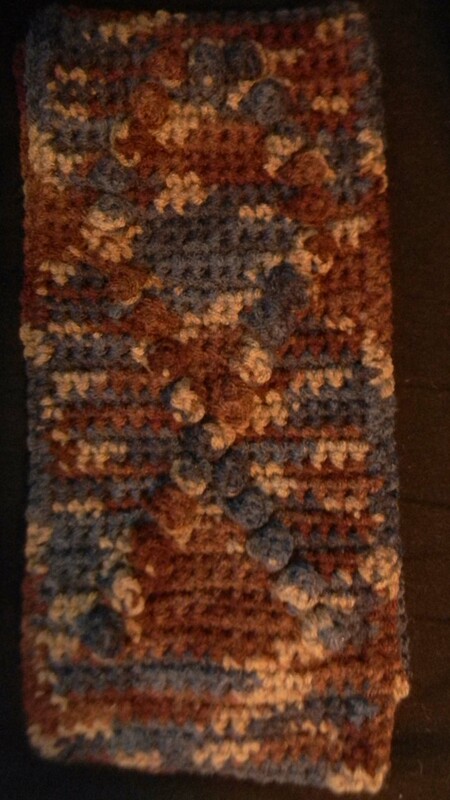 I kind of got hooked (no pun intended) and have been crocheting items for them since. If you crochet or knit and are looking for a volunteer opportunity PLEASE check out this group. 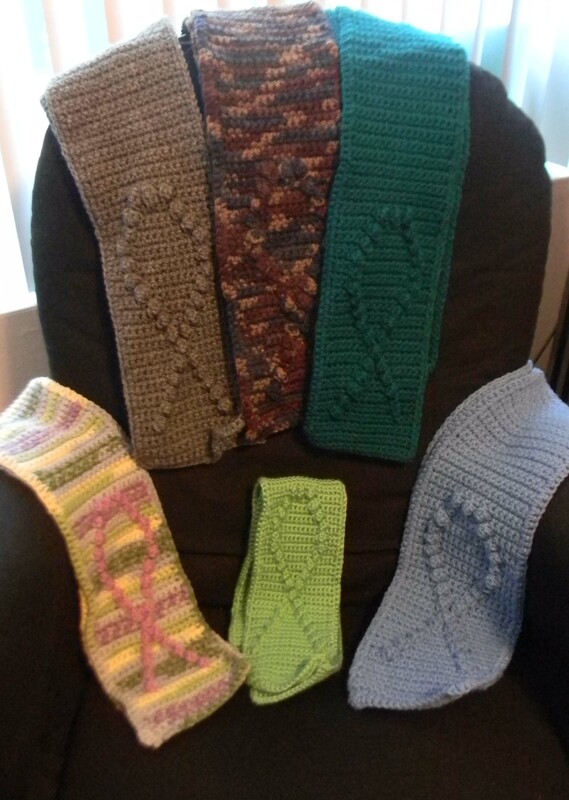 The site is always listing new patterns and I really liked the cancer ribbon scarf pattern. I purchased the pattern on Ravelry by Timary Peterson for $.50. As you can see I have made several of the scarves. The first one was with the yarn and hook it called for but thought it a bit small. 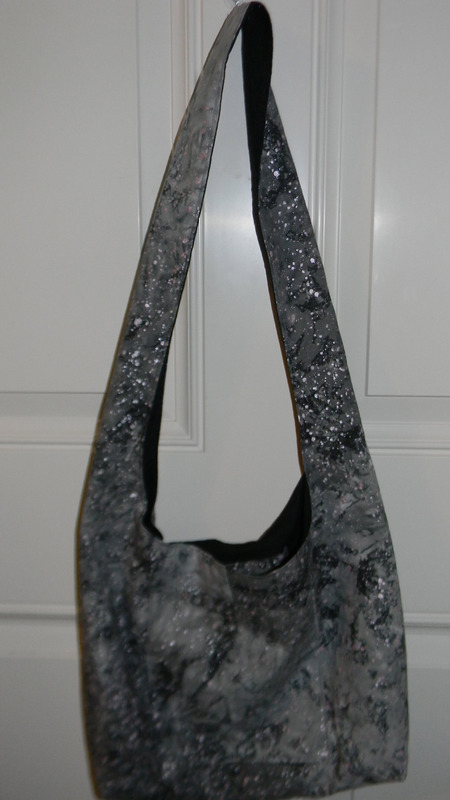 It will work for children but not really for adults so I switched to Super Saver yarn and a H hook. 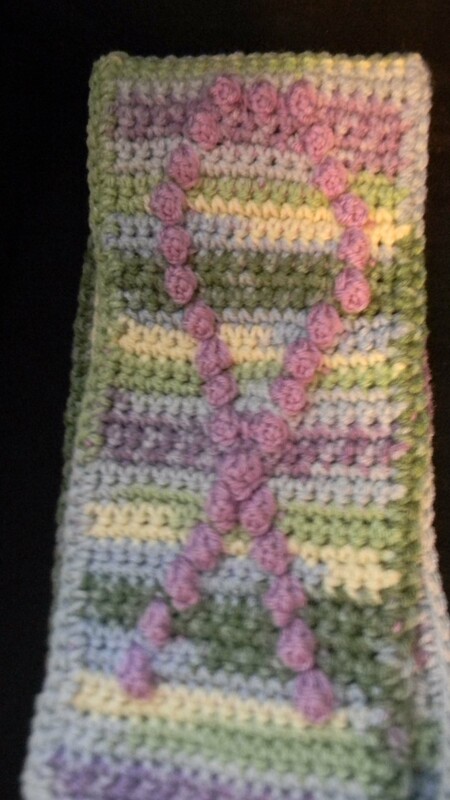 I then decided to try using a variegated yarn, added a solid color for the ribbon and liked the results. Here is a video I did on adding a different color. This is an easy pattern and after completing my first scarf I have not had to look at the pattern again. 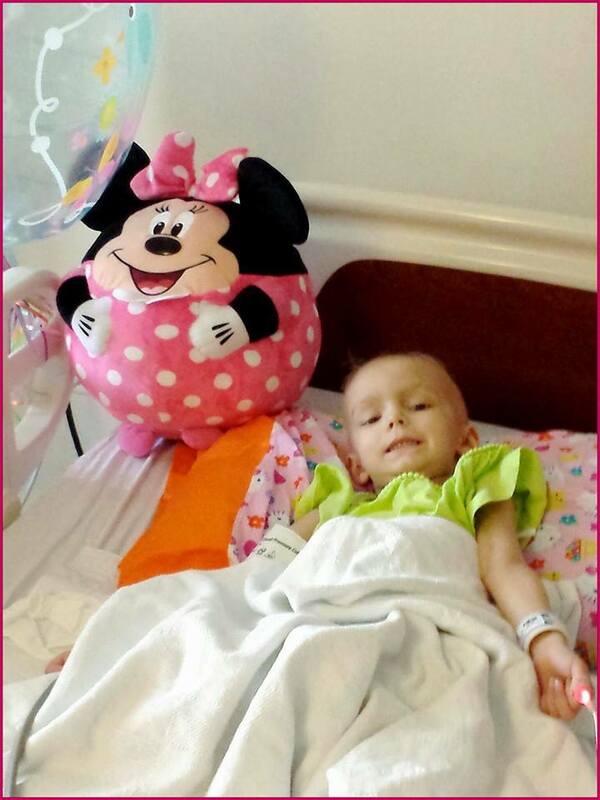 The Crochet for Cancer – Sadie Sunshine Chapter has also introduced me to the world of childhood cancer. Several times they have posted pages from other families who are going through what they went through. One of the pages that I decided to follow was Pray for Little Janet. What this family and little one have been through is more than I can imagine. But even though they have been through so much they are a witness to the love and faithfulness of Yahweh. I would ask you to visit this Facebook page, like it, and pray for this family. 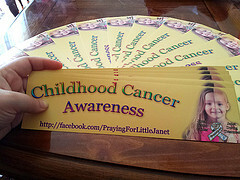 They also are raising funds by selling these cute bumper stickers for only $3.50 and can be purchased here. 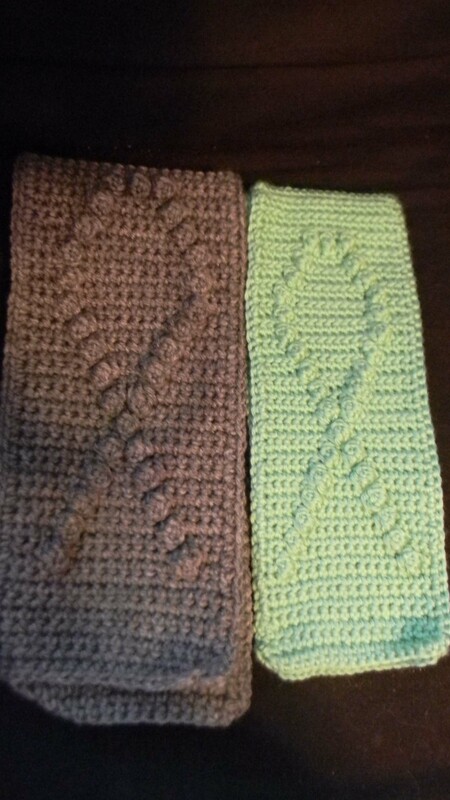 This entry was posted in Crafts, Crochet, Daily Life, Medical, Posts and tagged childhood cancer, Crochet, crochet cancer scarf, crochet scarf, Pray for Little Janet, Volunteer Crochet. Bookmark the permalink. How wonderful! Thank you Keo!